Edmund James Boardman, the oldest son of Edmund and Charlotte Boardman, was married in RM Louise, Manitoba on the 14th of August 1908 to Jesse Potter Duncan. He was thirty years old. Jesse was 26 years old at the time. The Manitoba Historical Society gives a description of what “RM Louise” refers to. See the link below. It is a rural municipality along the border between North Dakota and southern Manitoba. Is this Jesse & Others? Photos: There was no writing identifying these photos but I believe the man above is Edmund James Boardman and the woman on the grass is Jesse his wife? Compare these photos with others in this and the next post and see what you think? James and Jesse had 3 children that I know about. 1. Alice Jean Halley Boardman was born June 6, 1909 and died 22 September 1988 in Winnipeg. She married April 18, 1931 in Winnipeg to a Peter Duncan Campbell. He died about 1956 in Winnipeg. They had Gail, James (Perry Sound, Ontario), Bruce, Peter and Blair?  The information for Alice Jean was found in an obituary notice in the Winnipeg Free Press of September 24, 1988 for Jean Campbell, the Manitoba Vital Records online database and Canadian census. 2. Edmond J. Boardman was born February 28, 1911 and died 28th of December 1990 in Winnipeg. He married a Norma Slater whose birth is unknown. She died 28 November 1989 in Winnipeg. There was an infant that died 15 October 1940. There other child’s name was Alexis (Allie) who married a John and had at least 2 children. The infant is buried in the family plot in the Elmwood Cemetery. Sources used were obituaries found on Edmund in the Dec 28, 1990 Winnipeg Free Press issue and his wife Norma in the Thursday Nov. 30, 1989 Winnipeg Free Press issue, the Vital Records for Manitoba online database and Canadian census. His daughter wrote a loving tribute. 3. Betty’s birth and death are unknown at this time. At the death of her brother’s wife Norma, she was living in Toronto, Ontario (1989). She married a D. John Dalton and had at least one child named Sheri. Betty’s information is from the obituaries of her sister and brother. Photo: There was no writing on this photo but I believe it is Jesse with her daughters. 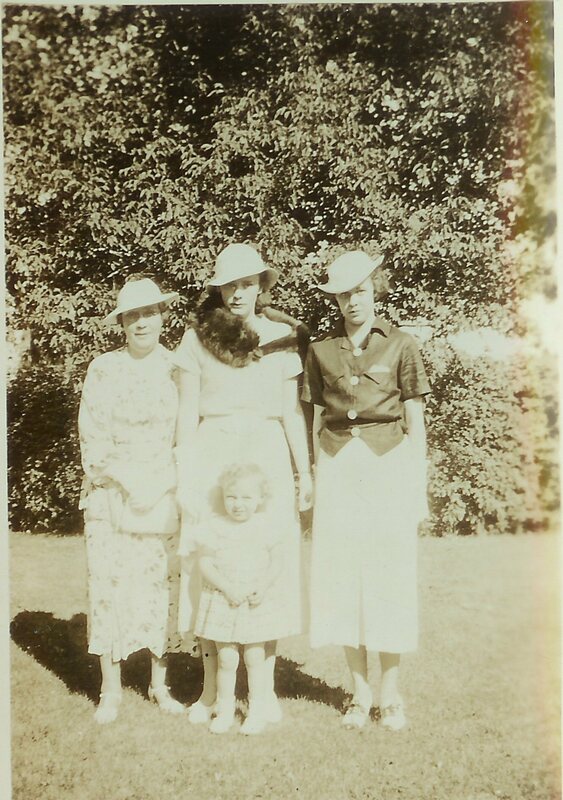 Jesse is on the left, then Betty with her daughter Sheri? Alice Jean is probably the one on the right! 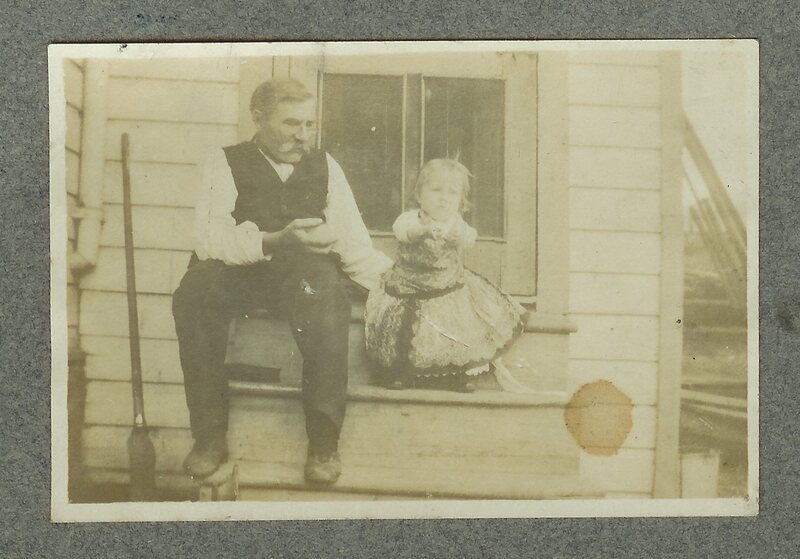 Line 36, [ ], 218, Boardman, Edmund, 563, M, Head, M, June 1878, 32, NB, English, Canadian, Anglican all except the lodger, Boardman, Jesse, F, wife, M, Oct. 1882, 28, Man, English, Canadian, Scotch. 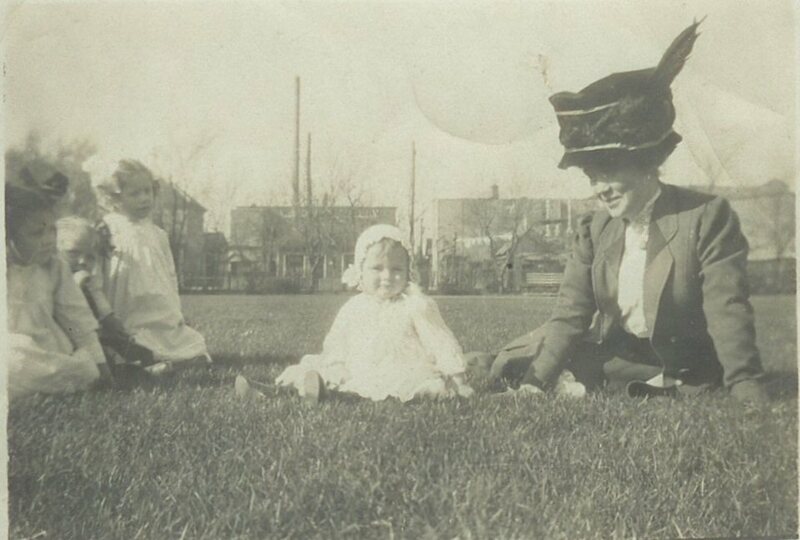 Boardman, Alice, F, daughter, S, June 1909, 1, Man. Boardman, Bomad 6/12, son S, Feb 1910 6/12, Man. Boardman, Charlotte, F, mother, W, Sept. 1852, 58, N.B. Scotish. [Peterson, Holly] F, Lodger, S, June 1892, 18, US, 1909 [ ] [Canadian] [ Scotch ] maid, 2/9/09/98. Source: 1911 Canadian Census, Winnipeg, Manitoba, Dist#24, SubDist #51, p of habitation 563 Logan Ave, pg. 20, William Orr Mulligan enumerator, Ancestry.com. Note: This census is very difficult to read the ink is thick and the page is faded. This entry was posted in Alice Jean Halley Boardman & Peter Duncan Campbell, Betty Boardman and D. John Dalton, BOARDMAN Surname, CEMETERIES, Edmund J. Boardman (Jr.) and Norma Slater, Edmund James Boardman, Elmwood Cemetery, Jesse Potter Duncan, Manitoba, New Brunswick, Perry Sound, Shediac, Toronto, Westmorland, Winnipeg and tagged Campbell surname, Winnipeg Free Press on January 12, 2012 by BJ MacDonald. The Boardman Family: Life after Edmund! Edmund Boardman’s death changed everything for the Boardman family. Of the four children only Edmund James Boardman, the oldest, remained in Winnipeg. The other three emigrated to the United States at various times. Robert (my grandfather) was the first to make the move followed by William (Willie), and then John. Charlotte Anne (McMurray) Boardman, their mother, followed her children leaving Winnipeg and heading to Vancouver, British Columbia. 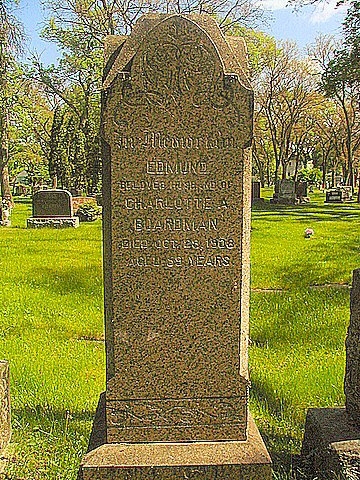 Edmund Boardman died on the 18th of October 1908 and is buried in the family plot in Elmwood Cemetery in Winnipeg. Edmund Boardman died Oct. 28, 1908. He lived at 583 Logan Ave. He was 59 years old at death. Occupation was Coppersmith, religion Church of England born at [Lochester/Gochester/Rochester]. Cause of death cerebral hemorrhage. Name of Informant was Black Bros & Hughes, of Winnipeg. Source: Vital Statistic Agency, Winnipeg, Manitoba, Reg. No. 1908-06-003669, #652, October 28, 1908. Edmund’s great grand-daughter, Marjorie wrote in her notes that he was born in Lancashire, England. The death record of Edmund is almost impossible to interpret: Does it say Rochester, Gochester, Lochester??? If you do a search on the city of Rochester in England you will end up in the county of Kent. If you go to Lancashire county and search for a city you will find Rochdale but no Rochester at least in today’s time frame. Yes, more digging is in order. Edmund was born 23 May 1848 and according to the 1901 census he immigrated about 1853. This means he was only 5 years old when he came to Canada. So trusting his knowledge of the year of immigration may mean that it is best to keep an open mind. So the origins of Edmund Boardman are still a mystery. So far the emphasis on research has been the United States and Canada. My father’s side of the family is very dominating and tends to divert me. Hopefully that will change in the coming years and my trip to Ontario in 2012 to visit the archives there might open a door. We will see?? Meanwhile let us focus on the lives of the Boardman family after Edmund’s death. What became of the Boardman children and Charlotte? As I stated Edmund James Boardman remained in Winnipeg and lived out his life there. 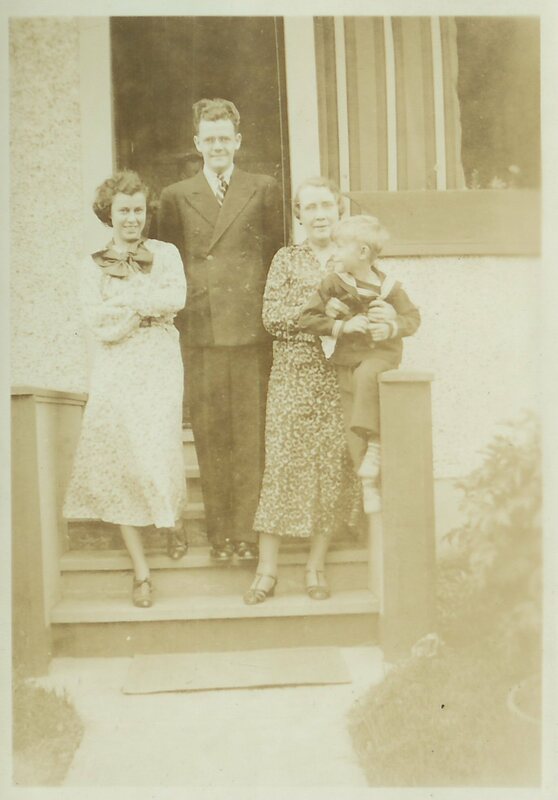 Robert, my grandfather, and Ethel, my grandmother, migrated first to Vancouver, British Columbia and then to Seattle, King County, Washington. William soon followed and headed for Pasadena, Los Angeles County, California. John Henry, the youngest brother, came first to California and then made his way up to West Seattle residing there for the remainder of his life. Charlotte, she moved west with Robert to Vancouver and made the move with them in about 1917 to Seattle. About 1922 she migrated to Pasadena, California and lived the rest of her life with or near her son Willie and his family. This is a great story. How do I know all this? Well it was not an easy challenge, I had very little information about my mother’s side of the family. I used city directories for Vancouver, B.C., Pasadena, California and the census for both Canada and the U.S. and a series of very interesting family photographs that were among my mother and her sister’s possessions. First, let me share what I know about Edmund James Boardman or rather Dr. Edmund James Boardman. When I visited my Aunt Aileen at her beautiful home overlooking Puget Sound in West Seattle back in 1987, she told me in a very proud voice that James was a famous surgeon in Winnipeg. I was intrigued! This entry was posted in Aileen Boardman, BOARDMAN Surname, British Columbia, California, Canada, CEMETERIES, Edmund and Charlotte (McMurray) Boardman, Edmund James Boardman, Elmwood Cemetery, John Henry Boardman, King County, Manitoba, Pasadena, Robert and Ethel Boardman, Seattle, Vancouver BC, Washington, William Thomas Boardman, Winnipeg and tagged Boardman Family, Elmwood Cemetery, migration to the United States, Pasadena California, Vancouver BC on December 29, 2011 by BJ MacDonald. Edmund Boardman Dies at the age of 60! Edmund Boardman lived to the age of 60 years old. He passed on the 18th of October 1908 in Winnipeg, Manitoba. 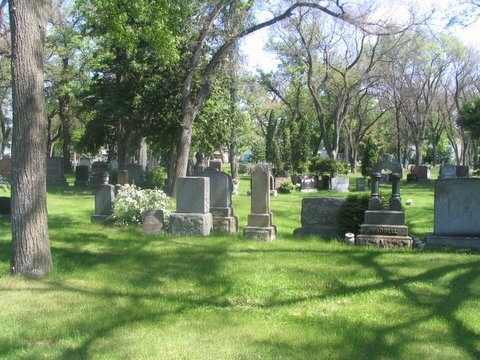 He is buried in the Elmwood Cemetery in Winnipeg with other family members. I obtained Edmund’s death record from the Manitoba Vital Records Office in Winnipeg. The handwriting on the death record was very difficult to read. As you can see I cannot make out the place of birth. It is either Lochester or maybe Gochester or even Rochester. I consulted with the Family History Library volunteers and they think it reads Rochester. Rochester is in Kent. I have notes from my mother stating he came from Lancashire? Now he was only about 4-5 years old when he immigrated to Canada so he might not have a clear picture of where he came from?? Edmund Boardman, died Oct. 28, 1908. Resided at 583 Logan Ave. Age 59 years old at death. Occupation was Coppersmith, religion Church of England born at [Lochester/Gochester/Rochester]. Cause of death cerebral hemorrhage. Name of Informant was Black Bros & Hughes, of Winnipeg. #652, Reg. No. 1908-06-003669. The Vital Statistics for Manitoba are online http://vitalstats.gov.mb.ca/Query.php I have the link under Blogroll at the right side bar of this blog. Edmund had a will but his estate was simple because he gave everything to Charlotte, his wife. Sometimes estates are helpful in identifying heirs but in this case the wife is the only one mentioned. 2. Affidavit for Proof of Death – Edmund Boardman, City of Winnipeg, Oct. 28, 1908 in the Eastern Judicial District value of estate $4040.00. Last Will and testament done on 8 Sep. 1902. Signed by C.A. Boardman. 3. Affidavit Appointing Charlotte Ann Boardman as the widow and sole executor of the estate. He died at  Logan Ave. in the City of Winnipeg. This is the last will and testament of me Edmund Boardman of the City of Winnipeg, Coppersmith. I hereby revoke all wills by me at anytime heretofore made. I hereby give devise and bequeath to my wife Charlotte Ann Boardman all my property real and personal whatsoever and wheresoever it may be. I hereby appoint my said wife Executrix of this my will. Signed published and declared by the said Edmund Boardman as and ____last will and testament at Winnipeg, Manitoba. This eighth day of Sept. A.D. 1902 (___) in the presence of us presented at the same time who have all the ____and in the presence of each of other and in the presence inscribed our names as witnesses. [ ] Signed by Edmund Boardman. 6. Proof that this is the will of Edmund Boardman by C.A. Boardman. 9. Notice of Application in the estate of Edmund Boardman, the granting of probate. Source: Edmund Boardman Estate File #5283, Surrogate Court, Eastern Judicial District, Manitoba, Canada, Index Vol. 2 FHL#1381814 (1884-1930); Estate File #5283, FHL#1411690 (Estate Files 5114-5284, 1908). I do not have many photographs of my great grandfather Edmund Boardman. Here is one with him enjoying a happy time at home with his family. Unfortunately I do not know where it was taken and which of the children it is he is sitting with. Edmund James (1878) and my grandfather Robert (1881) were born in New Brunswick. They would put dresses on baby boys for that was the custom at the time. 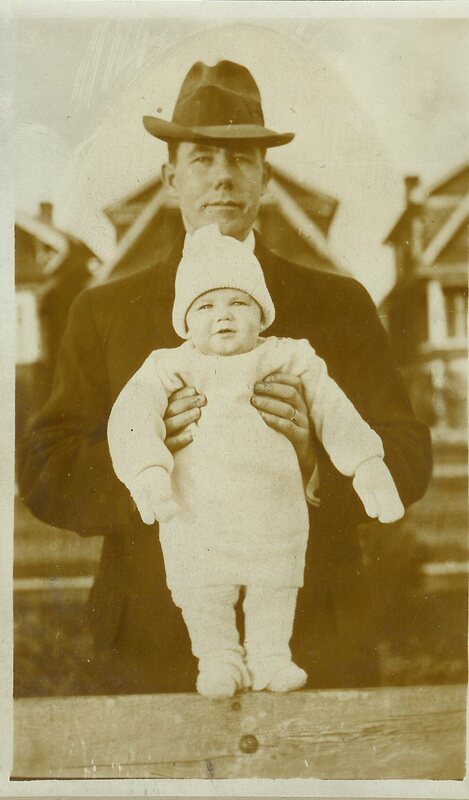 William (1885) and John (1886) were born in Winnipeg. It is difficult to pin down the time frame. This entry was posted in BOARDMAN Surname, CEMETERIES, Edmund and Charlotte (McMurray) Boardman, Edmund James Boardman, Elmwood Cemetery, John Henry Boardman, Manitoba, New Brunswick, Robert and Ethel Boardman, Robert Brown Boardman (Uncle Boardie), William Thomas Boardman, Winnipeg and tagged Boardman Family, Elmwood Cemetery, Manitoba, using estate files in genealogy, Winnipeg on December 7, 2011 by BJ MacDonald.